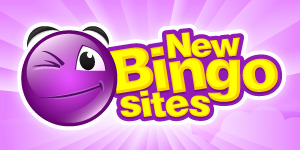 Bingo is such a popular game these days that new sites are popping up online every day. Some are just a rehash of existing sites and stale playing formulas but others have that special something that sets them above the others. Here at BingoHideout we like to bring you only the best so each week we will feature the best of the new sites and provide you with a review of just what they have to offer. This week’s chosen site is Butler’s Bingo. The name is very aptly chosen as the players’ needs are attended to so well that you are made to feel as if you are in the privileged position of having your very own private butler. In short, this site is dedicated to your enjoyment! All new players are pampered from day one – you deposit £10 and walk away with a £25 bonus. You might be saying to yourself that although this is generous there are other sites out there that can match this offer. However, do they follow it up with two weeks of free bingo? Yes, you read that right, a whole two weeks without having to pay a penny, plus free entry to a prize draw to win a mystery gift. And then we have the icing on the cake – when you make your very first deposit you will receive a massive 300% bonus. What a welcome! And just in case you’re finding it a little confusing to get your head round all these facts and figures, you are provided with Astrid, your virtual bingo helper. The Butler certainly tries to cater for your every need! With all this assistance you will soon find your way around all the weekly and monthly promotions and end up playing like a seasoned campaigner. You can start off slowly and for an outlay of just 10p a ticket, on a daily basis you have the opportunity of winning £5,000. With weekly and monthly games to look forward to it all adds to a massive festival of bingo enjoyment! As if all these amazing points weren’t already enough to get you clicking to join up, every time you make a new deposit you earn a 50% bonus plus you are awarded loyalty points for staying with your Butler. These can be left to accumulate until you choose to cash them in; this will give you even more free play. Add to this a mix of chat games and other various bonuses to enhance your playing experience and you have one top bingo site. As a finishing touch for your added enjoyment the Butler also provides plenty of casino, slots and instant games, all offering enticing jackpots whatever your gambling game of choice. At the end of the day the whole concept of having a butler to help you enjoy your bingo game is a novel one that is both amusing and charming. We quite like the notion and recommend that you give it a go for a refreshingly different bingo experience.